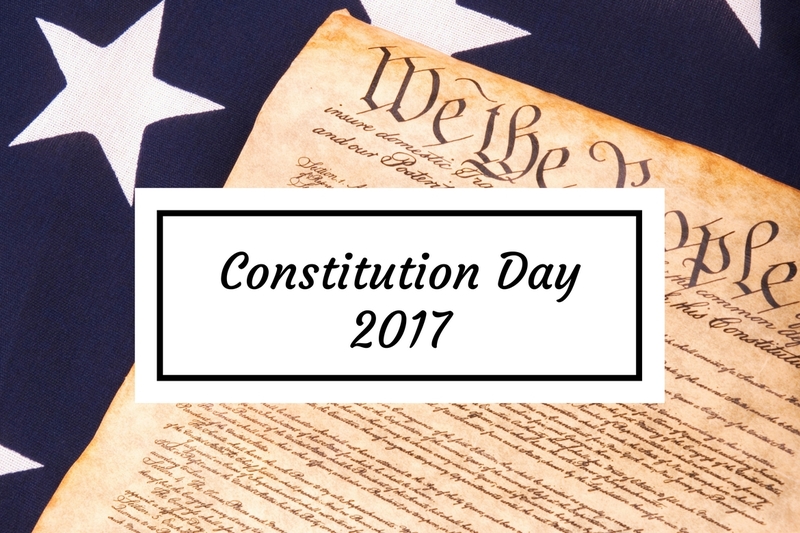 September 17th commemorates the 230th anniversary of the formation and signing of the U.S. Constitution, and recognizes the efforts, rights, and responsibilities of all citizens. 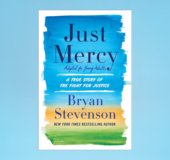 To celebrate the occasion, we’re highlighting 3 books that we hope will not only help readers gain a better understanding of the Constitution, but also more fully appreciate its continuing significance, citizenship, and what it really means to be an American. In this urgent and timeless immigrant story, we learn that Khizr Khan has been many things. He was the oldest of ten children born to farmers in Pakistan. 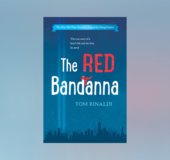 He was a university student who read the Declaration of Independence and was awestruck by what might be possible in life. He was a brilliant and diligent young family man who worked two jobs to save enough money to put himself through Harvard Law School. He was a loving father who, having instilled in his children the ideals that brought him and his wife to America—the sense of shared dignity and mutual responsibility—tragically lost his son, an Army captain killed while protecting his base camp in Iraq. He was and is a patriot, and a fierce advocate for the rights, dignities, and values enshrined in the American system. 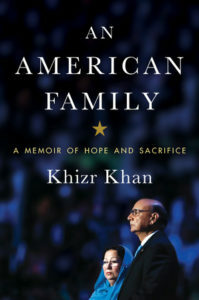 For younger readers, Khizr Khan offers a book about the Constitution—what it says and why it matters for everyone. 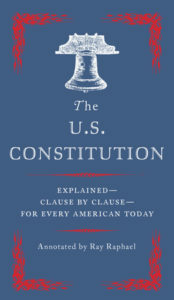 In this indispensable edition, acclaimed historian and Constitutional expert Ray Raphael guides us through the origins, impact, and current relevance of the original text and all twenty-seven amendments. Here is the key historical context for issues in the news today—from the Electoral College to Washington gridlock, from peaceful protests to executive power. Thoughtful and nuanced, lively and highly readable, this annotated Constitution is for all of us to read and refer to—the ultimate political fact-checking source for every American. 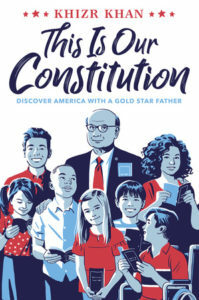 From Gold Star father and beloved Democratic National Convention speaker Khizr Khan comes a book for young people about the Constitution--what it says and why it matters for everyone. Often cited, seldom read, always essential: here is the complete U.S. Constitution with all 27 amendments, demystified and explained for 2017. A VINTAGE BOOKS ORIGINAL.